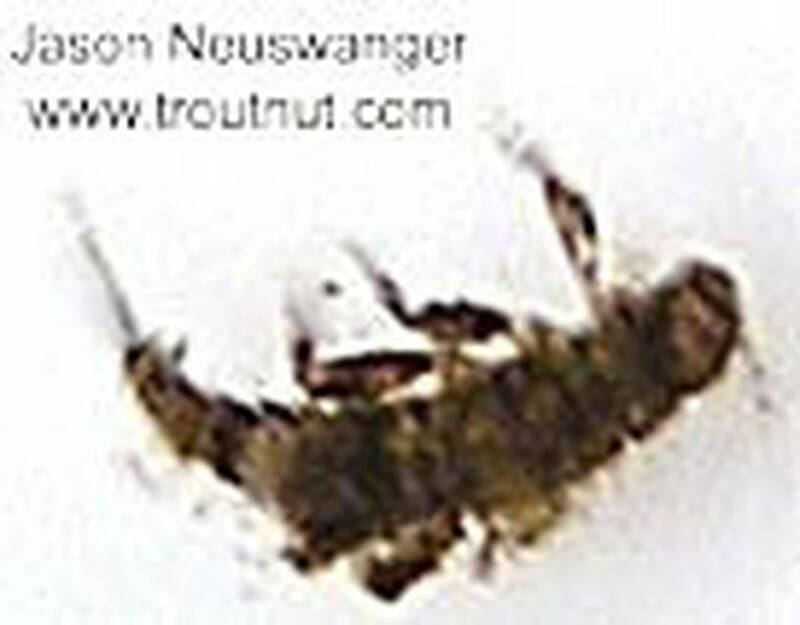 This interesting little Caenis nymph is way darker than any of the others I collected in January 2004, probably a different species. 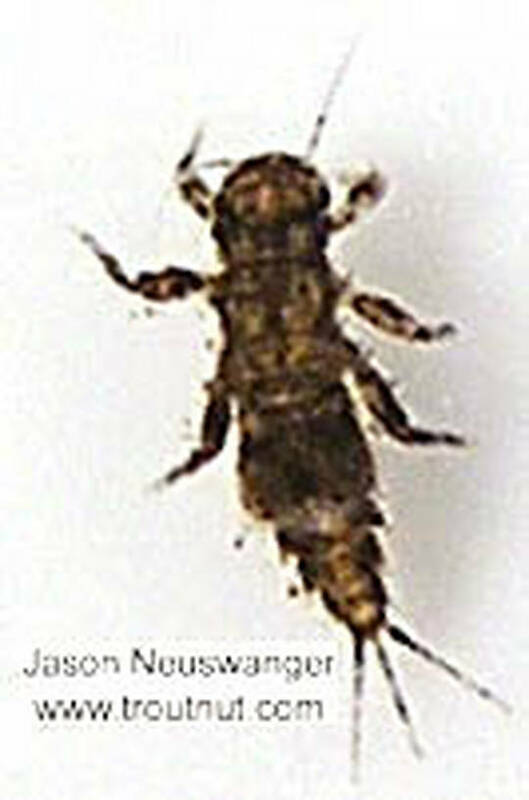 It also has shorter tails. 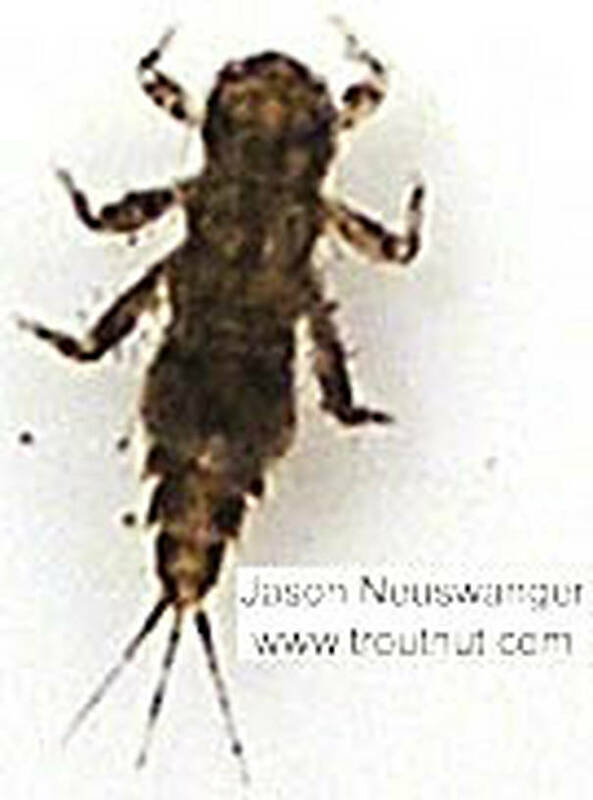 This mayfly was collected from unknown on January 31st, 2004 and added to Troutnut.com on January 25th, 2006.